FiberOne may have created the best fictional movie trailer yet. But I kindly ask you to ignore that first sentence and look at this delightful new movie trailer for Cheech and Chong's Magic Brownie Adventure. 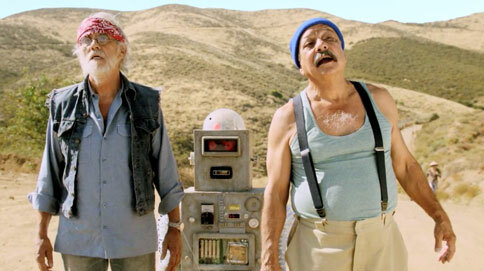 It has everything you could possibly want from a Cheech and Chong reboot: pot jokes, robots, hippies, police being idiots, and an original song by Chong. And the best part, it even explains why you would use two gloriously washed-up stars to promote FiberOne. The brownies are actually full of fiber, because now that you're getting older, you need a new kind of magic for your brownie. The campaign—by Publicis Modem in New York—even does a great job of delivering on the brand promise by hiding the fiber in trailer just like they do in those brownies. After the jump, check out four other clips: Magic Hippie, Magic Robot, Magic Guiro, and Magic Family. And inhale some more awesomeness over at MagicBrownieAdventure.com.